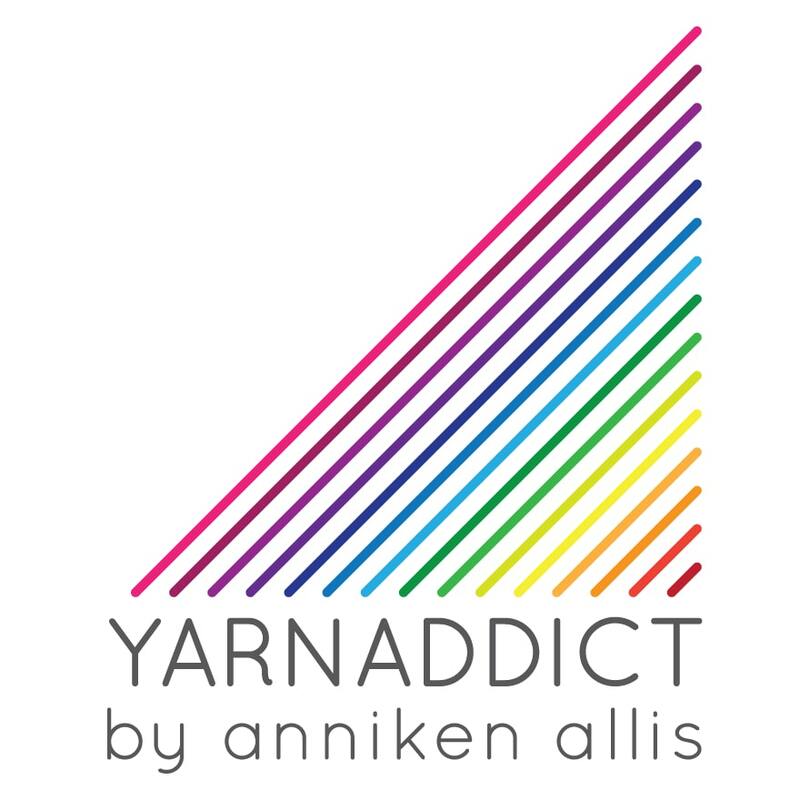 Confessions of a YarnAddict: Can I tempt you? If you've read this blog for a while then you might already know that I'm a bit fan of Sweet Georgia Yarns (I was a member of their fibre club for a long time and I'm only taking a break because my SG spinning fibre stash is huge). Sweet Georgia's yarns and fibres are saturated with gorgeous colours. In fact, I have a skein of their yarn on my desk right now, waiting to be cast on for a new design. Can you imagine being able to design a whole collection in this yummy yarn? I'm very jealous of Holli Yeoh, a Canadian designer, who got to do just that. I've seen Holli's designs in various US magazines and on social media and they're always beautiful and the designs in this collection are no different. Holli has been sharing snippets of the designs in Tempest on Instagram in the run up to the publication of the book this autumn and I was thrilled to be part of her book tour as the designs looked so intriguing. Here's a list of the other stops on the Tempest blog tour. Visit the Tempest website for a blog, videos, the Tempest community. Today, I thought I'd share my favourites with you. First up is 'Haven' which is so simple and so perfect. Create an ombre effect by using 2 strands of yarn held together. This is a simple rectangle meaning everyone can make this. I'm so tempted to make this for myself. Wonder if I have time in between deadlines? I'd need to use the exact colours used in he original though, because they're my favourites. There are several stunning accessories in this collection and one that caught my eye was 'Breakers' which looks so squishy and cozy and warm. This would be perfect for our Christmas holiday to Norway this year. The stitch pattern looks interesting too. I love the alternating bands of opaque and sheer chevrons in 'Eventide'. The subtle colour variation of the hand-dyed yarn adds to the interest. I rarely wear hats. In fact, I almost only ever wear hats when we go to Norway at Christmas. I'm also rubbish at designing hats (notice the lack of hats in my pattern portfolio?). But I do fancy a new hat for our Norway trip. 'Procella' is perfect. I love the slouchy fit, the interesting design details and it has fingerless mittens to match. I would wear those all the time. I also have a friend who loves slouchy hats and fingerless mittens. She's also knitworthy and usually the only person I knit a Christmas present for. Maybe I'll knit this set for her. Will I be able to give it away though? There are 3 cowls that use the same stitch pattern, First Beach, Second Beach and Third Beach. When Holli was posting pictures on Instagram in the run up to releasing Tempest, the stitch pattern used in these three accessories really stood out to me. I was fascinated by it. 'Watermark' uses the same stitch pattern to make a feature of it's over-sized cowl neck. The stitch pattern is also repeated on the hem which perfectly complements the stocking stitch body. This is just a selection of the garments and accessories in Tempest. Take a look at the Ravelry page where you can purchase the e-book. The print book can be purchased here. See all Sweet Georgia's gorgeous yarns here. Like what you see? Tell me your favourite Tempest design and why it's your favourite. Leave a comment below before 30 November and you will be included in a draw to win an e-book copy of the book. I love Haven. The ombre effect is beautiful and it would be a great snuggly layer in our draughty vicarage. Such a great collection and beautiful palette. Haven is definitely my favourite. I love Eventide so much! It is so hard to choose a favorite. All of these patterns are lovely! I especially like Procella and the 1st, 2nd and 3rd Beach Cowls. I love the chevrons of Eventide, and it would never occur to me to combine yarn for that effect. It's genius. Stormwatch är min favorit, för jag tycker om att sticka på stora projekt, och stora tröjor i tunt garn är så härliga. Haven is stunning though all are beautiful.